Food, Family, Fun. : Jolly Holiday - fun blog hop. 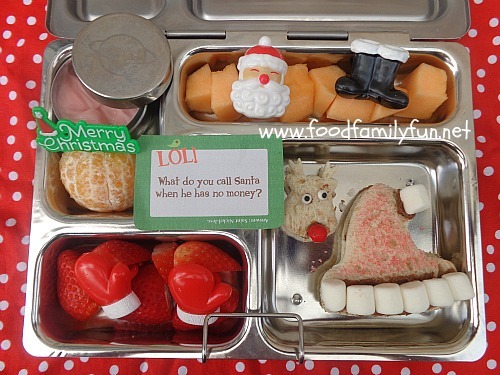 Cute lunch, cute joke, and I like your use of marshmallows for Santa's hat. I just love this lunch, Amanda! So healthy, yummy and adorable! Hahah good one! Wonderful lunch. Great lunch, and looks so yummy! Adorable! Everything looks so yummy! Such a fun holiday lunch. Cute lunch and my son liked the joke!